Welcome to Mr. Gus's Journal: The process of forgiveness, from the younger brothers point of view. The process of forgiveness, from the younger brothers point of view. A significant part of my life revolves around the fact that I've done harm to others, which can never be undone. I'm not talking about harm in the illegal sense, but the kind that breaks the bonds of trust, remaining a positive role model to my children, the betrayal of friends, etc. The Prodigal Son is one of the parables of Jesus, in the New Testament, Luke 15:11-32. In the story a father, in response to his demands, gives the younger of his two sons his inheritance before he dies. The younger son, after wasting his fortune, repents and returns home, where the father holds a feast to celebrate his return. The older son refuses to participate, stating that in all the time the son has worked for the father, he did not even give him a goat to celebrate with his friends. His father reminds the older son that everything the father has is the older son's, but that they should still celebrate the return of the younger son as he has come back to them. In my life I have at times lived the role of each of the individuals in the story, but by far, the most challenging has been the role of the younger brother. It seems that time after time, day after day I go to the Lord in prayer to forgive me of my sins, and I know that He has. Knowing that the people I've harmed are going through a hard time in their life due to something I've done can cause unbearable shame and regret. In my heart I know that God has forgiven me. The ability to receive forgiveness from myself and others takes longer, sometime a lifetime, but it is worth pursuing. By surrendering this part of our life to God and making amends to others will draw us nearer to Christ and will help in our own walk of faith as others do harm to us. This book below is an excellent work that breaks down the story in great detail, looking at the story from several different points of view. I hope this story will bless your life as it has mine. 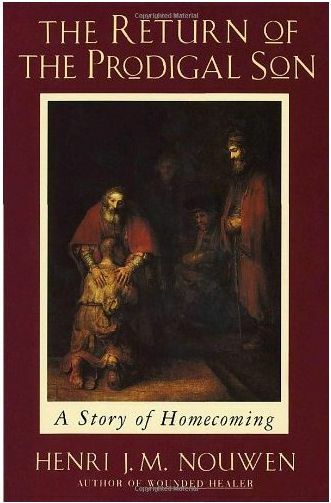 The Return of the Prodigal Son: A Story of Homecoming, by Henri J. M. Nouwen, ISBN-13: 978-0385473071. I'll never forget the time me and my son, then 9 years old were cleaning out the trailer full of yard waste and he came across one of my empty liqueur bottles. My comment at the moment was "how did that get there? ", but he knew what it was and probably how it got there. I was so ashamed. That was such a long time ago, I hope he's forgotten about it. Thank you for your comment. I'm sure God has forgiven you for this, even though you (perhaps) haven't yet. I'm also very positive that this was a "bigger deal" to you than to your son. Its never too late to start being the Dad you were meant to be, and asking God for help and healing in your family.